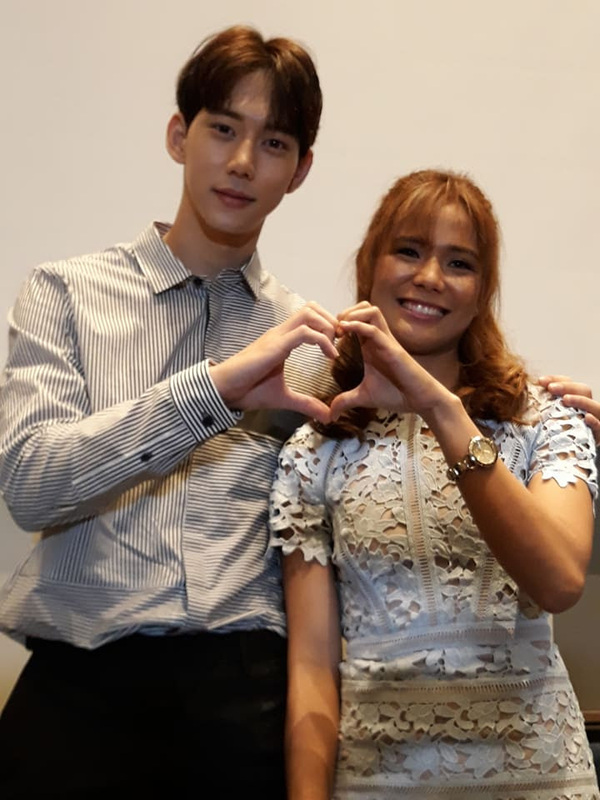 DEVON SERON and one of her leading men, Jin Ju Hyung, in the Filipino-Korean co-production, “You with Me”, faced the press together to promote their upcoming romantic comedy that opens in theaters on September 27. The other leading man, Hyun Woo, will be coming later to also help promote their movie. Ju Hyung was born in South Korea on November 24, 1994. He speaks fluent English and started doing TV dramas in 2013 in “Scandal: A Shocking and Wrongful Incident” for MBC where he played Detective Goo. This was followed by “Blade Man” which ran on KBS2 from 2013 to 2014. His third show was “Cinderella and the Four Knights” for TVN in 2016 and “Hwarang, The Poet Warrior” on KBS2 also in 2016. The last show he did is “Suspicious Partner” on SBS this year. Ju Hyung will be staying in Manila for ten days and he hopes to visit some of our tourist spots until their film’s opening day on September 27. Here’s hoping their film will be successful, considering that they’ll be shown simultaneously with “Last Night” starring the formidable tandem of Piolo Pascual and Toni Gonzaga.